Empire of the Moon. Maya people were very interesting people that lived long ago, but they left their successors, about six million people at the beginning of the 21st century. They gave a lot of benefits to the world, things that we use today, like some food or tools. Today they can be found in Mexico, Guatemala, Honduras and other Latin countries. And what about some history for today? Why don’t go back to the places where other civilizations exist? You are mistaking if you think that it has all began with us, today or yesterday. Sacniete is a girl belonging to the Maya people. She is inheritor of the King of Maya and she is the only one survived in this royal family. Sachiniro is her faithful servant and counselor. His obligation is to take care of her safety. Itzel is Sacniete’s best friend. The three of them arrive in the ruins of their kingdom, wanting to find the holly objects that they use to realize their rituals. So put yourself into the shoes of these ancient people and travel through time. It is going to be fun, we promise you. 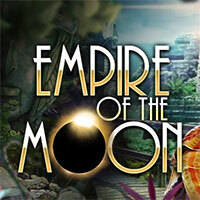 Empire of the Moon is a free online hidden object game on Hidden4Fun.